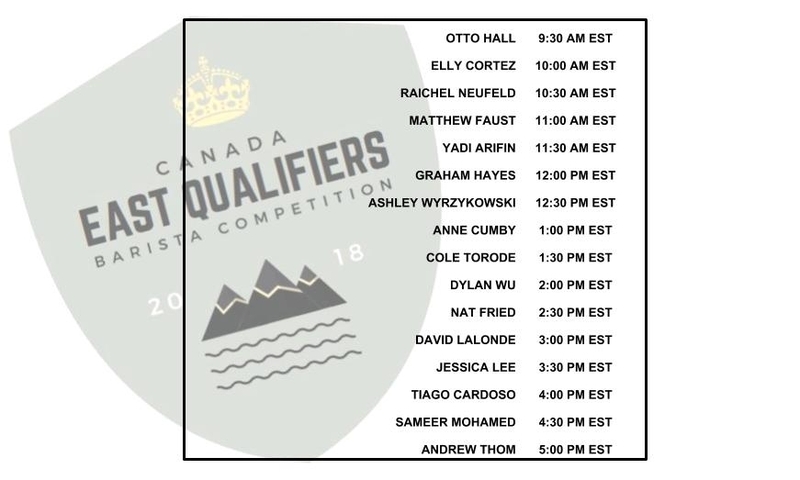 We are excited to announce the line-up of Baristas who will be competing at the East Qualifier Barista Competition in Ottawa. This is a free event so join in on the fun at Horticulter Building and support your fellow Baristas. If you can't make it, we will be live streaming their routines on our Facebook page. Follow us there and be sure to come back to check out the competition. Elly have been surfing the coffee industry and gaining new skills for about 8 years now. She fell in love with the amount of positive energy that have been received through working in the coffee industry; whether that be the relationships that have been built to the fulfilling feeling of being a part of the bean to cup cycle. As an aspiring specialty coffee shop owner, she truly believe in investing her passion into the work that she do. While relatively new to the specialty coffee scene since joining Fahrenheit coffee in December 2016, Matthew has always enjoyed the journey and challenges of competition. When he isn't behind the bar dialing in his favourite coffee he can be found at the local CrossFit gym preparing for whatever might come next in life. Yadi is the owner of Fika Cafe in the Kensington neighborhood of Toronto. He loves to share his passion and knowledge about coffee with everyone. This is evident in showing his Aeropress techniques through his brewing classes after winning the 2017Toronto Aeropress Competition. His favourite method is V60 pourover with a washed Kenyan SL-28 or Ethiopian Natural Heirloom. This will be his first Barista Competition. Graham is a coffee and cocktail enthusiast working for De Mello Palheta Coffee Roasters out of Toronto. He recently moved back to Toronto after spending a couple years in New York City training craft cocktail bartenders how to make specialty coffee. If he's not in a coffee shop, you can probably catch him on my bike around town, running along the lakeshore, or going for long romantic dog walks with his S.O. Graham was recently the winner of Canada's first ever Coffee In Good Spirit held at the Restaurant Show in February. Anne Cumby has been in specialty coffee for 7 years and doesn’t plan on going anywhere! Starting her career as a shop owner, Anne hit the ground running, looking to learn at every opportunity. Through amazing mentorship and lots of trial and error, Anne has progressed in her career becoming an active competitor, judge, and member of the coffee community. She now works at Reunion Island Coffee Roasters where she gets to come alongside other shop owners and support the growth of their programs. She still looks to learn and grow every chance she gets. Cole been in the coffee industry for nearly a decade and have played many different roles within the value-chain. Most recently, he has been responsible for all of their green buying practices at Rosso and establishing relationships with quality focused producers around the globe. While in Calgary, his focus is quality control and training within their locations and with their partners. On his free time, he enjoy wine, whisky, basketball and cycling. Nat is the Head of Accounts at Pilot Coffee Roasters. He have competed in the last four years of competitions as well as coaching fellow competitors. 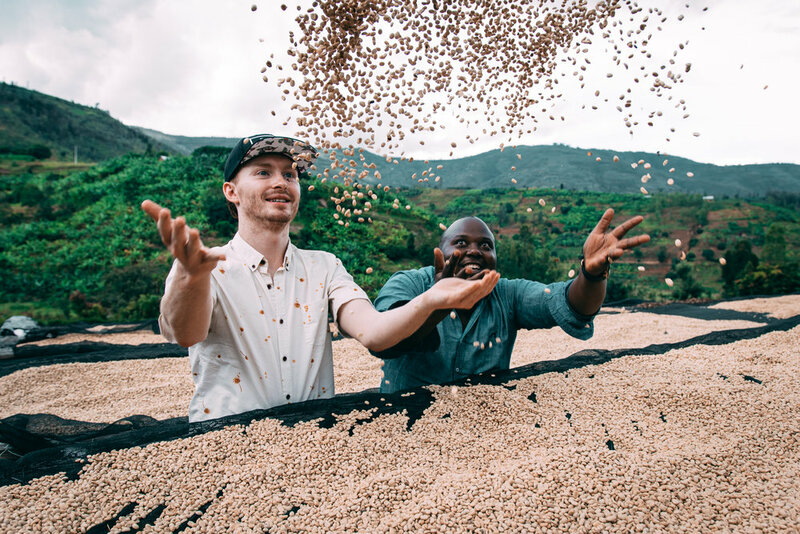 For him the highlight of working in specialty coffee is the community. Through working with cafe owners and baristas across Canada, participating in competitions, attending conferences like SCA Expo and ECCM, and having the opportunity to meet producers, he have had the pleasure of meeting dedicated, curious, passionate people who all want to contribute to this community. David is a Q-Grader, Trainer and Account Manager for De Mello Palheta Coffee Roaster. What passionates him is cupping, tasting and palate development. Staying up to date with brewing techniques is also super important. All that. Plus spending as much time as possible with his daughter! Jay began their specialty coffee career as an apprentice roaster at Planet Bean, Inc in 2012. Passionate about food and flavour their whole life, Jay eagerly expanded their repertoire to include barista, as well as coffee equipment maintenance and repair. 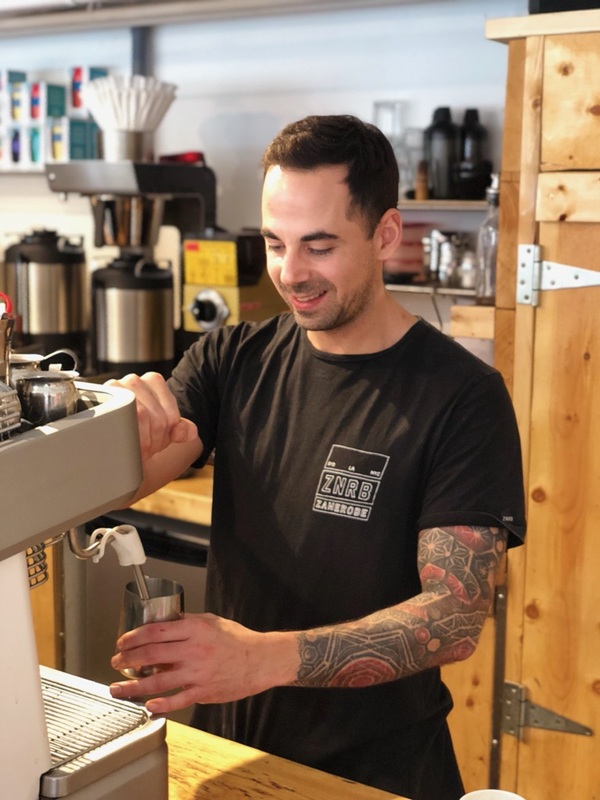 While this is their first year as a competitive barista, Jay is no stranger to the competition circuit, having served as both a technical and sensory judge in the 2013 and 2015 Central Canadian regional competitions. Jay currently holds the position of Head Barista at Extraction Point coffee bar on behalf of Aramark, Ltd at Google Waterloo, and is the owner and operator of Guildsmen Café, a specialty coffee catering company. Jay has worked closely in partnership with Detour Coffee Roasters, to bring you an inspired and women-driven competition routine that honours the journey from origin to destination. Outside of coffee, Jay enjoys brewing beer, going on food-related adventures, and hanging out with her two greyhounds. A fairly new barista in the coffee community, a full-time student and a musician. 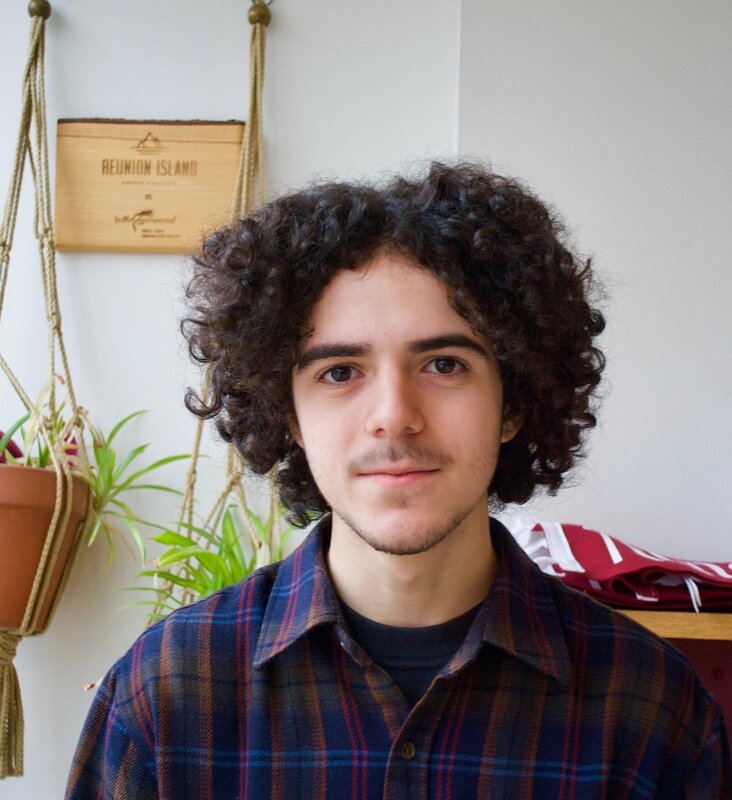 His endeavours involve expanding his knowledge on specialty coffee and the art of being a barista by taking things a step further and being a part of competitions. He have been with Reunion Island for 10 months now. This will be his first competition. His additional interests include writing and photography. Sameer has been a barista for the last 16 years. He has worked in all areas of the industry, from sourcing green coffee to roasting and extracting in multiple ways. This will be his return to competition after a 5 year hiatus during which he opened 2 locations of Fahrenheit Coffee. Sameer finally has the time to devote to the barista competition and is hoping that his long-serving experience in coffee and previous competitions will serve him well this year at the EQBC. 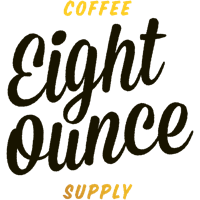 Andrew Thom is a co-owner of Show & Tell Coffee in Kitchener, Ontario and have been involved in coffee for 10+ years and specialty for nearly 8. This will be his first attempt at competition and he is equally nervous as he is excited for this new challenge!